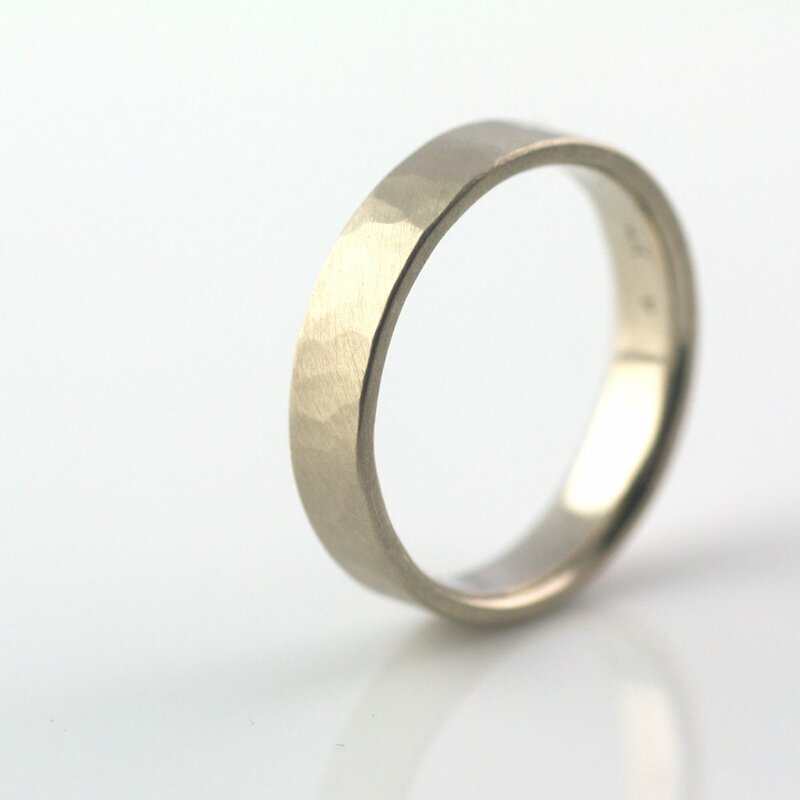 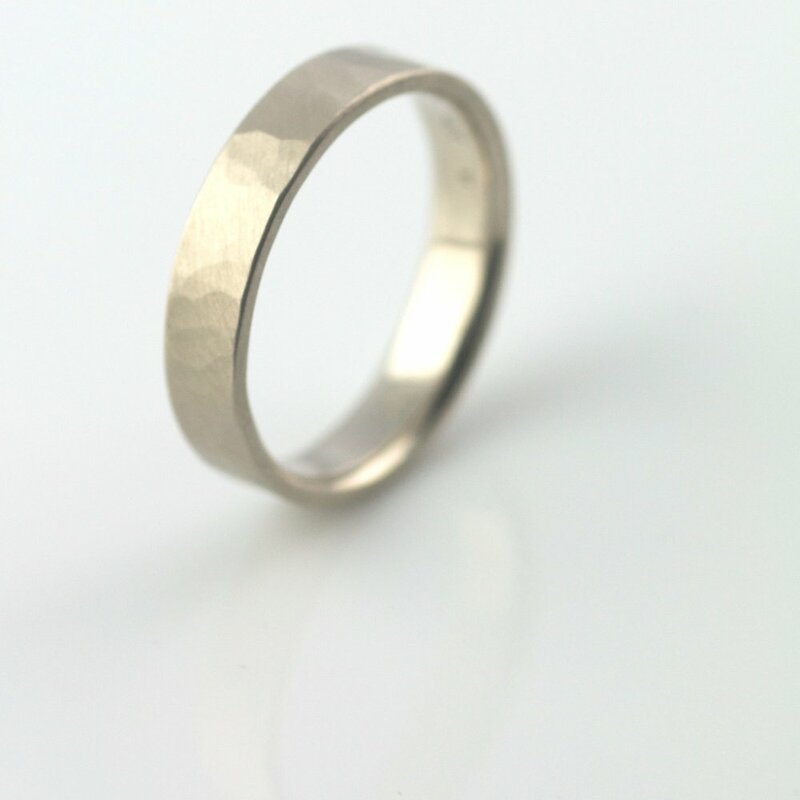 This band features a faceted looking hammered texture with a satin finish and distinct gray gold alloy. 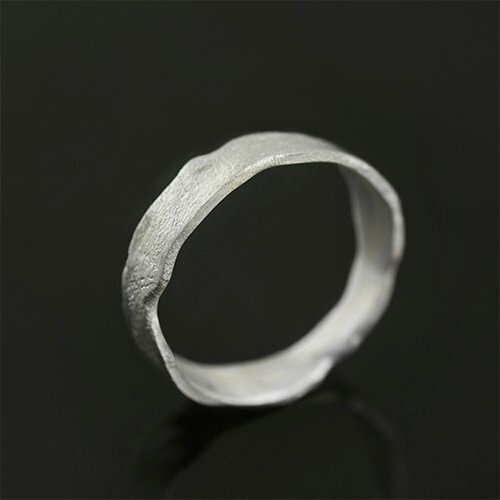 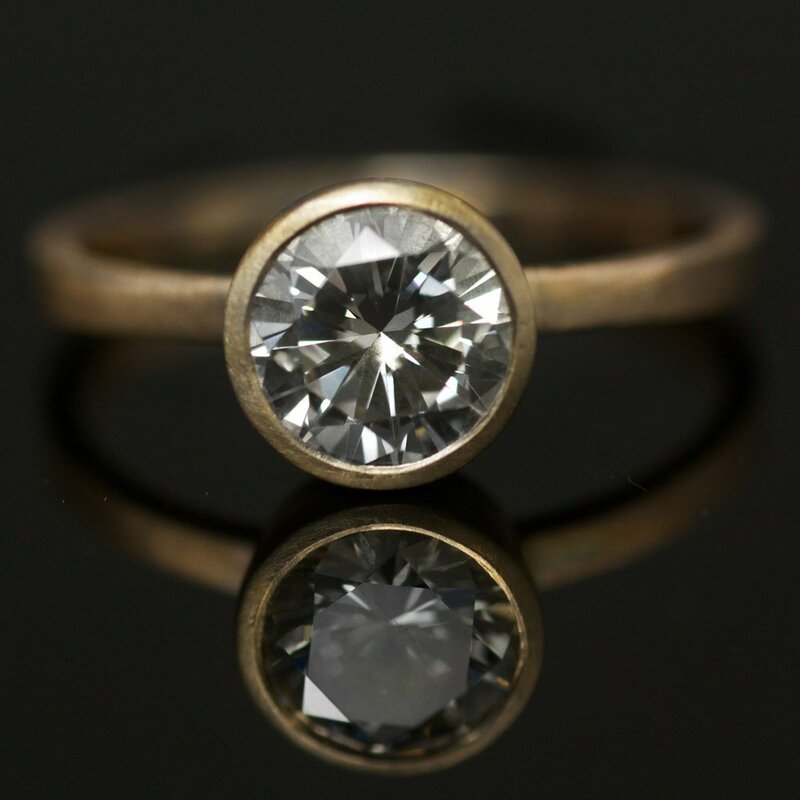 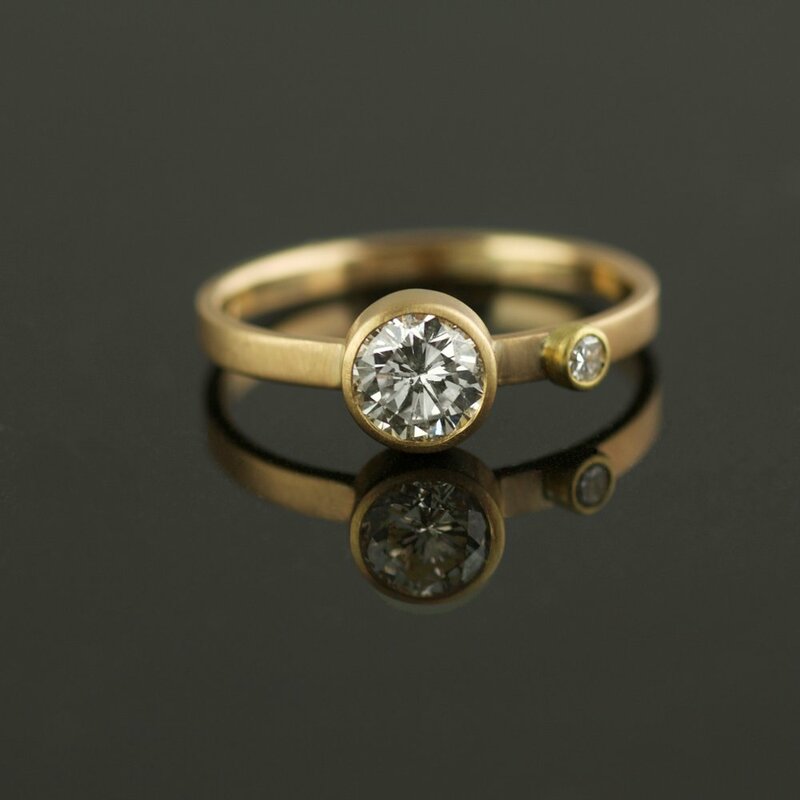 VK Designs uses recycled precious metals, Fairmined gold, responsibly sourced diamonds & other ethical diamond alternatives. 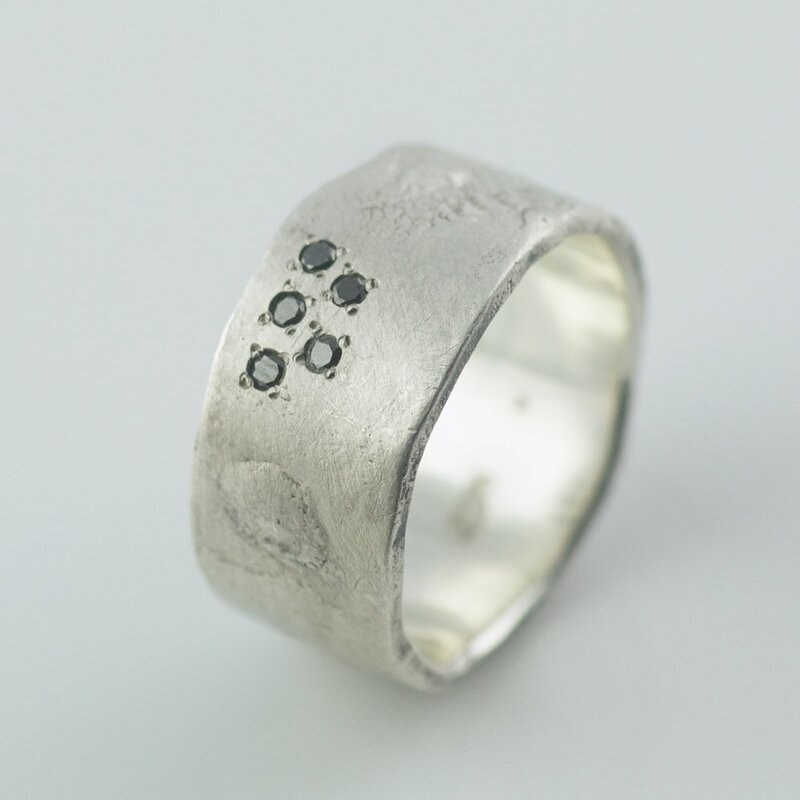 5% of the profits of each sale goes to support Earthworks “No Dirty Gold” efforts.